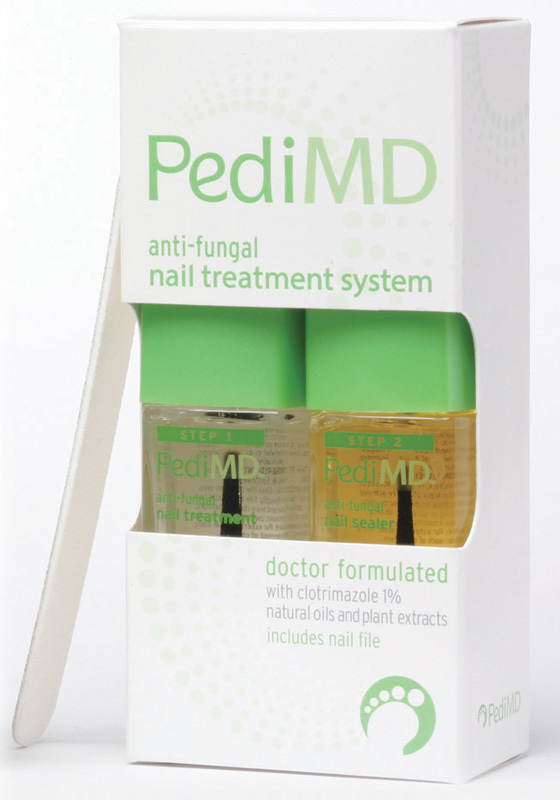 PediMD Anti-Fungal Nail Treatment System combines powerful fungus-fighting and FDA-approved medicine, Clotrimazole 1%, with the natural healing oils of plants such as Tea Tree, Sunflower and Jojoba Oils to deliver the best in traditional and holistic medicine. It comes with a nail treatment lacquer, sealer and nail file. Our unique lacquer application ensures that active ingredients directly reach the source of fungus and stay in place. 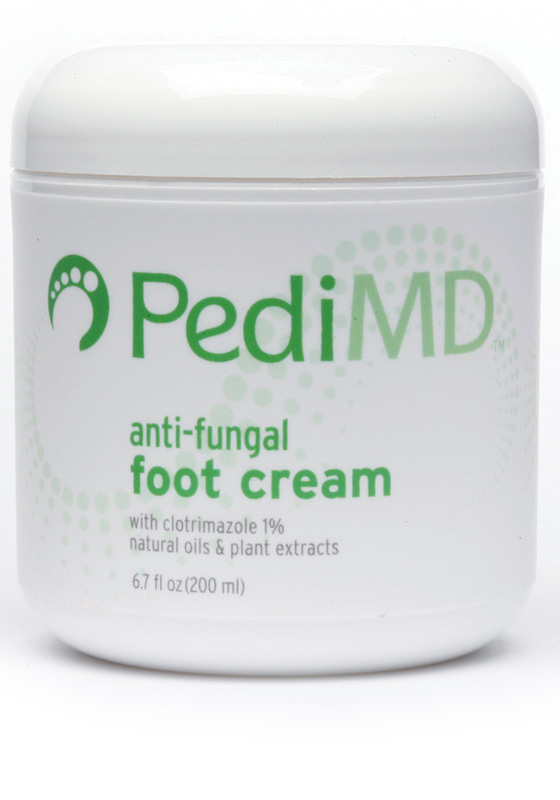 PediMD Anti-Fungal Foot Cream is a rich and moisturizing foot cream to heal dry, cracked and red skin from fungus. It combines powerful fungus-fighting and FDA-approved medicine, Clotrimazole 1%, with natural healing plant oils and extracts such as Shea Butter, Aloe, Avocado, Slippery Elm, Ivy, Nigra Flower, Dandoline and Fennel. It is non-greasy, absorbs quickly and leaves your feet feeling soft, healthy and silky smooth. 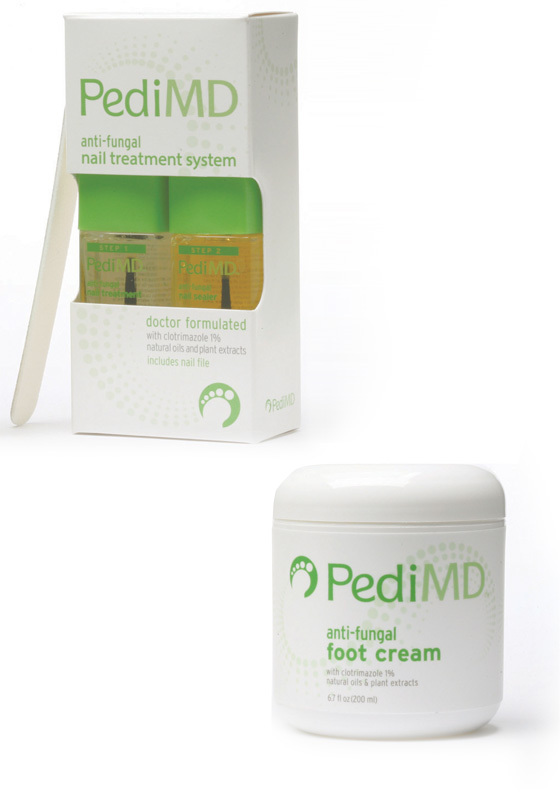 PediMD is an advanced anti-fungal nail and foot treatment developed by a leading podiatrist. This new doctor-formulation combines proven medicine with the natural healing oils of plants to create a highly effective treatment and deliver the latest in foot healthcare.